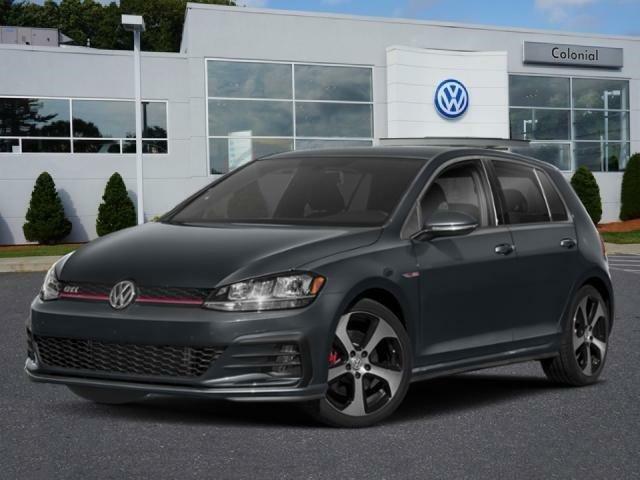 Highlights of this 2019 Volkswagen Golf GTI Rabbit Edition include: Heated Seats, Aluminum Wheels, Turbo Charged, Back-Up Camera, Bluetooth, iPod/MP3 Input. EPA 32 MPG Hwy/24 MPG City! Highlights of this 2019 Volkswagen Golf GTI SE include: Sunroof, Heated Leather Seats, Turbo, Back-Up Camera, Alloy Wheels. EPA 32 MPG Hwy/24 MPG City! Highlights of this 2019 Volkswagen Golf GTI SE include: Sunroof, Heated Leather Seats, Alloy Wheels, Back-Up Camera, Turbo Charged. EPA 32 MPG Hwy/24 MPG City! The GTI has good on-center feel with an immediate but gradual reaction to steering input when moving the wheel from center. Steering effort is light in most modes, firming up noticeably, but not uncomfortably, in Sport. Effort builds up slightly as speed increases. -Edmunds.com.